RES-TEC worldwide. We are proud that our instruments are now used around the world. RES-TEC was founded in 2001 as a spin-off company of the Max-Planck-Institute (MPI) for Polymer Research in Mainz, Germany. RES-TEC’s product portfolio covers the whole range of evanescent optical technology, progressing from hardware supply to software and complete solutions tailor-made for your needs. Working in close collaboration with the MPI for Polymer Research, newest developments from research and engineering are directly implemented into always state-of-the-art instruments and supplies. 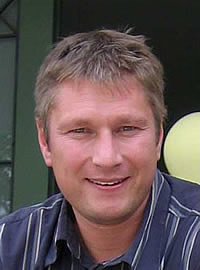 RES-TEC is headed by Bernhard Menges. He is currently also holding a position as project leader in the Department of Molecular Spectroscopy at the MPI-P where he is responsible for all evancent optical technologies.